Like its fellow prehistoric whale Dorudon, Zygorhiza was closely related to the monstrous Basilosaurus, but differed from both of its cetacean cousins in that it had an unusually sleek, narrow body and a long head perched on a short neck. Strangest of all, Zygorhiza's front flippers were hinged at the elbows, a hint that this prehistoric whale may have lumbered up onto land to give birth to its young. 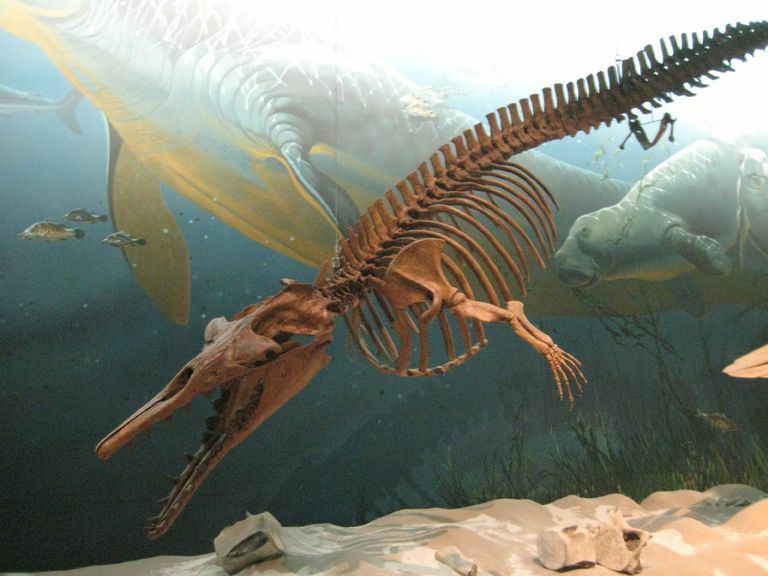 By the way, along with Basilosaurus, Zygorhiza is the state fossil of Mississippi; the skeleton at the Mississippi Museum of Natural Science is affectionately known as "Ziggy."